Game-like modules test different aspects of neurocognitive and neuromotor performance. Reports allow you to track and trend your brain performance. 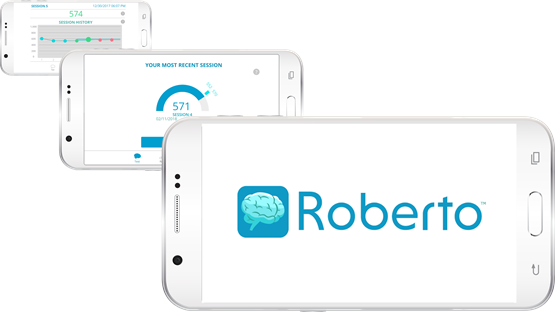 Each session produces a report and after four sessions your normal range for brain performance is shown. Note taking feature allows you to add information at the end of every session to help track your performance. Are You Maximizing Your Brain Performance? Wellness programs largely ignore our most crucial and complex area of health—our brain. It’s our brain that defines our personality and who we are. Now, neuroscientists have discovered that the brain remains malleable and can continue experience growth until we die. We now know that with proper lifestyle choices we have the ability to live a brain healthy life. 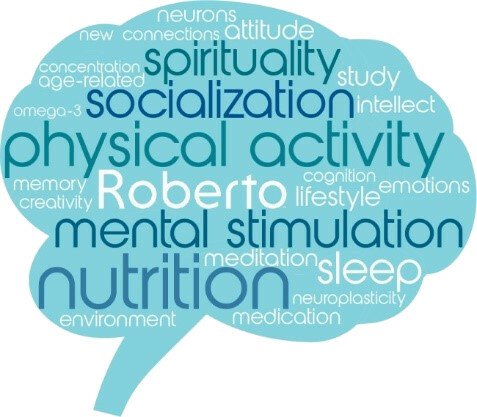 Roberto can help you manage your brain health by giving you objective performance data. Track how changes in diet, sleep, exercise and more affect your brain.